Very interesting to read about Watergate from another perspective! 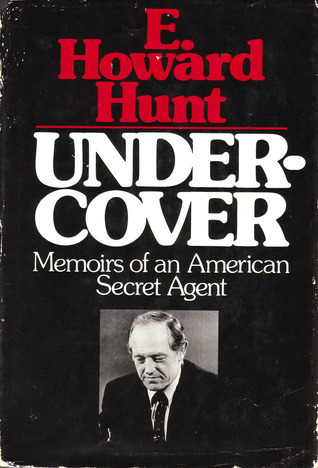 E. Howard Hunt - E. Howard Hunt was an American intelligence officer and writer. Hunt served for many years as a CIA officer. Hunt, with G. Gordon Liddy and others, was one of the Nixon White House "plumbers" — a secret team of operatives charged with fixing "leaks." Hunt, along with Liddy, engineered the first Watergate burglary, and other undercover operations for Nixon. In the ensuing Watergate Scandal, Hunt was convicted of burglary, conspiracy and wiretapping, eventually serving 33 months in prison.He published over eighty books wrote under the pseudonyms Robert Dietrich, Gordon Davis and David St. JohnFrom Wikipedia.